During the first session of this series, experts spoke to us about the impact and challenges that disruptive technologies are having on the work we do. To help us better understand the digital environment, this fall's session brought together a wide range of notable speakers to share their invaluable insights on algorithms, personal data and privacy protection, as well as highlight some of the best practices that are advancing innovation across government and beyond. These were only some of the topics the participants had the opportunity to discuss with the experts. 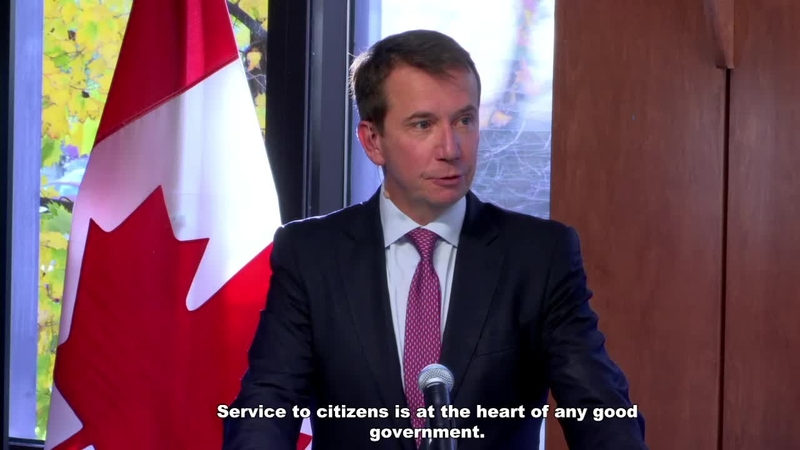 Watch an excerpt of the Minister's speech. The video is available in English with French subtitles. Service to citizens is at the heart of any good government. And today that means digital. This School, in partnership with the Office of the Chief Information Officer and the Canadian Digital Service, is building a Digital Academy for the Canadian public service. We can actually do something that is actually much better than is done anywhere else and that is build top-flight talent and enable our public servants to develop their skills as the very best at delivering government digital services to citizens anywhere in the world.